The Health Clinic located on the Bethel Regional High School campus serves patients from both BRHS and the Kuskokwim Learning Academy three days a week. At its one-year mark, the Bethel Regional High School’s Health Clinic has increased the services being offered, and more and more students are using the facility weekly. Health Clinic staff hope that more parents and community members will take part in planning even greater services for students in the future. Outpatient pediatrician Kimberly Fisher sits at her desk in between patient visits in one of the health clinic's two exam rooms. The facility is relatively new, built two years ago by students at the Kuskokwim Learning Academy. Employed by the Yukon-Kuskokwim Health Corporation since June, Fisher has been working at the Clinic since just before the beginning of the school year. “I believe it started in August, seeing sports physicals before the school year started, and it’s been open for at least two days a week since then,” said Fisher. The clinic is a convenient option for many BRHS and Kuskokwim Learning Academy students, Fisher says, and has been an asset for accessing more health options. “Certainly for reproductive health coverage, looking for infections, making sure they have access to contraceptives. It’s up to what the school and the kids really want to have here,” said Fisher. Just since August, Fisher has overseen the testing and treatment of patients with sexually transmitted infections, commonly known as STIs. 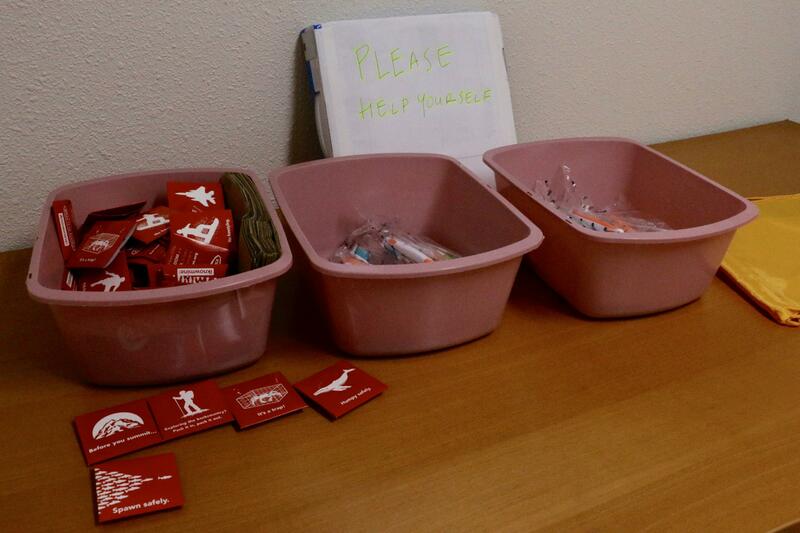 At the front entry to the clinic, hygiene items, informational pamphlets and contraceptives are available for patients for free. “The patient was identified through the high school clinic, and our STI nurse was able to arrange the treatment for that patient as well as the testing and treatment for any reported partners,” said Fisher. In an outpatient clinic setting, Fisher says, the more common STIs found are chlamydia and gonorrhea. According to a state health report, chlamydia rates have gone up in the last few years and are particularly common among young adults. Alaska Native populations are also the most impacted by chlamydia and gonorrhea infections, an important fact for the majority Alaska Native population of the Yukon-Kuskokwim Delta. 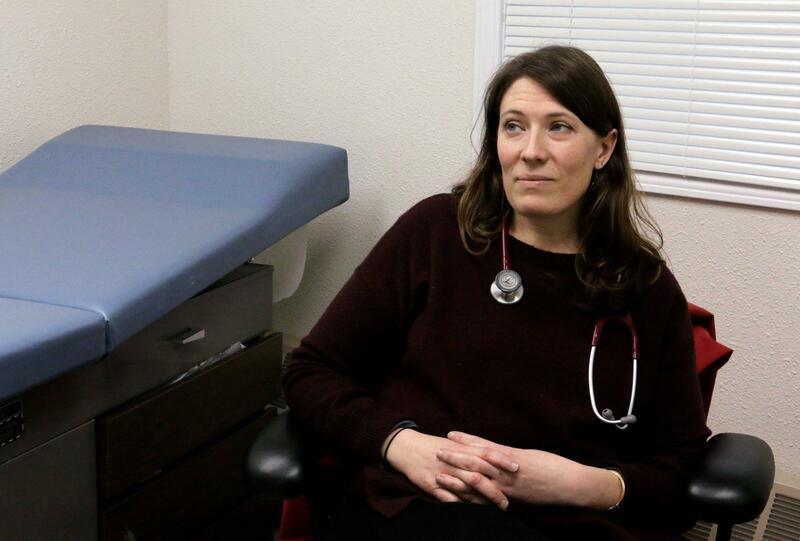 Elizabeth Sanseau, also a pediatrician at the Yukon-Kuskokwim Health Corporation, came to Alaska several years ago for a residency program with YKHC and helped get the ball rolling on the clinic. “This has really been a collaborative effort between the Yukon-Kuskokwim Health Corporation, the Lower Kuskokwim School District, and Public Health Nursing to develop a high school clinic that provides services for the community and the high school,” said Sanseau. Pediatrician Kimberly Fisher sits at her desk at the Bethel Regional High School Health Clinic in between patient visits. Sanseau says that the organizations are looking forward to expanding together this year. Mary Berliner is a nurse from the Bethel Public Health Center. She helps staff the clinic on Fridays and says that the clinic sees many students for same-day visits. In terms of expanding what’s needed, Berliner and YKHC clinic staff are still looking to increase student, as well as parental and community, input. “We were hoping to eventually have some behavioral health, that would be a big one; dental, nutrition even. I think also we really want the students to take ownership and let us know what they want too,” said Berliner. Berliner says that she’s glad to see that the clinic has become a normal part of school life among students, and is excited for what’s to come.